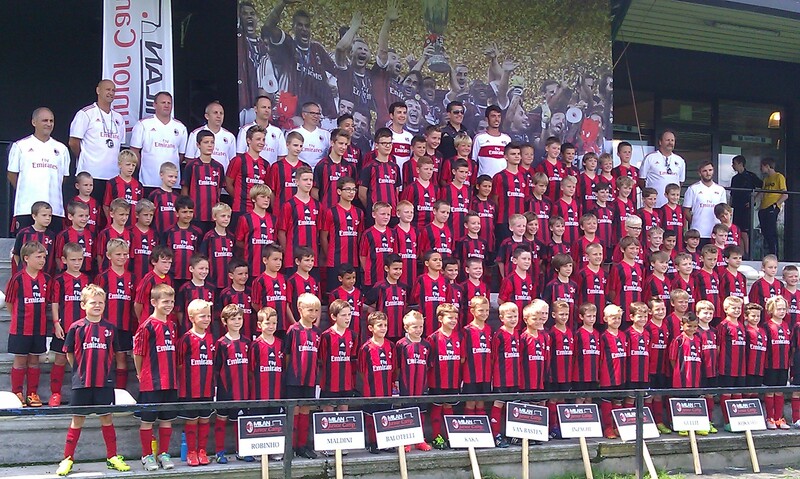 The Future Leadership Institute* is a partner of the AC Milan Junior Football Camps in Belgium. The Institute supports the “Train the Trainer” program. This program brings together Italian trainers from the AC Milan Academy with Belgian local football trainers interested to learn from their Italian counterparts. The Belgian youth trainers first receive a clinic from the AC Milan youth trainers, followed by one week of co-training several groups of 7 till 15 year old Belgian football players. Research has indicated the general level of Belgian football youth trainers is rising, but is still well below levels to be found in other sports. Less Belgian football youth trainers are accredited or have certificates compared to youth trainers in for example basketball and volleyball. The Train the Trainer program linked to the AC Milan Junior Camps is an initiative to educate more Belgian youth football trainers.